Custom Picture Framing to complement and enhance your treasured items. A beautiful frame can turn a great work of art into a masterpiece. Here at Art & Frame we are passionate about art and design, and provide Adelaide’s most comprehensive custom picture framing service. We will help you to choose the perfect frame to enhance your artwork, complement your décor and reflect your personal style while still meeting your budget. With the experience, knowledge and skill acquired from over 30 years in the industry, we can create a custom frame to your exact specifications using our extensive range of products. Our custom framing gives you access to over 700 picture frame mouldings that incorporate a great variety of designs, colours and materials, and our professional framers will guide you through the design process, helping you to choose just the right style, shape, sizes and colours. We have everything from simple raw wood styles through to crafted, hand-finished designs. 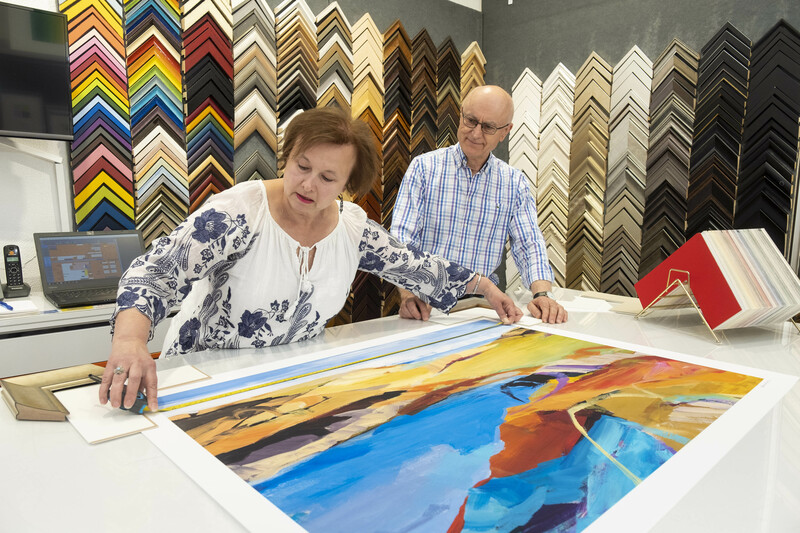 In addition, as members of the Picture Framers Guild of Australia and the Professional Picture Framers Association, we always ensure that the materials and techniques used are appropriate to the work being framed, whether carrying out conservation framing or top-quality decorative framing. Newlyweds looking to preserve the memories of their special day. Our framing is done on-site and is generally ready for collection within two weeks. This may occasionally vary, depending upon moulding availability from our suppliers. A 100% satisfaction guarantee backs all of our framing services to ensure that you are happy with the finished item. Upon completion of large frames, we can arrange delivery with our sensitive-freight delivery courier. Installation can also be arranged using our dependable installers. 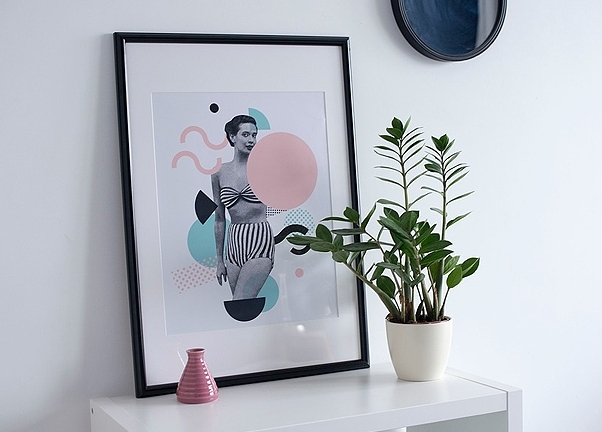 Having the ability to source artwork from a database of thousands of art images, print them in-house and then complete the process with just the right frame defines the Art & Frame approach. Whether you’re working with an interior designer or looking to create a unique aesthetic all your own, our ability to source wall art and give it a unique, custom frame makes us a one-stop shop for all of your framing and artwork needs. Art & Frame can also take care of any block-mounting, laminating and canvas stretching requirements, and it all comes with our 100% satisfaction guarantee. In addition to custom framing, we offer a large selection of top-quality, ready-made frames and photo frames. These are available in a broad range of shapes and sizes, and can be used with matboard for an even more attractive finish – just ask one of our expert staff who are always on hand to help you. To see for yourself why Art & Frame is Adelaide’s preferred picture framer, come and see us in our Unley Road store, Malvern. Alternatively, please feel free to call us with any queries you might have about your custom framing needs. We have the expertise to frame it for its desired purpose. We can also take care of basic requirements such as block-mounting, laminating and the stretching of canvases. For those items that need to be on display quickly and at a budget price, our own brand of ready-made frames and photo frames is your solution.